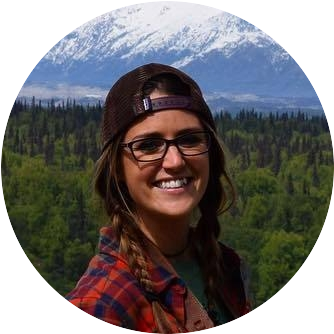 Venturing into the wildlife is a fantastic experience but it also means a person has to be ready if things get complicated. 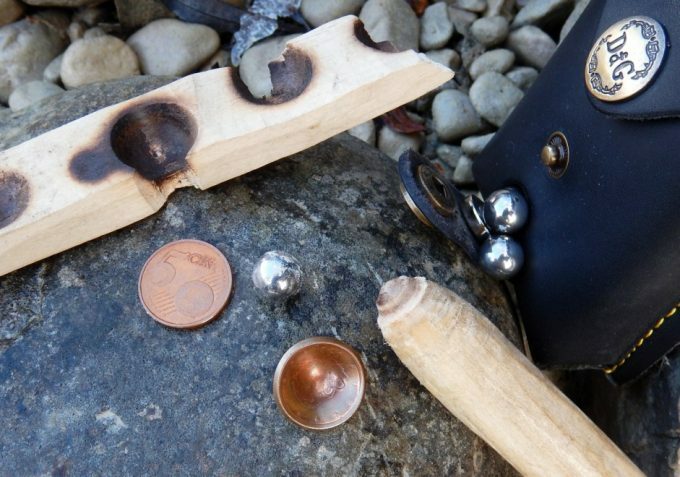 Even though we live in a modern era, you might find yourself in a situation where you need to start a fire from scratch and knowing how to make a bow drill might definitely come in handy. 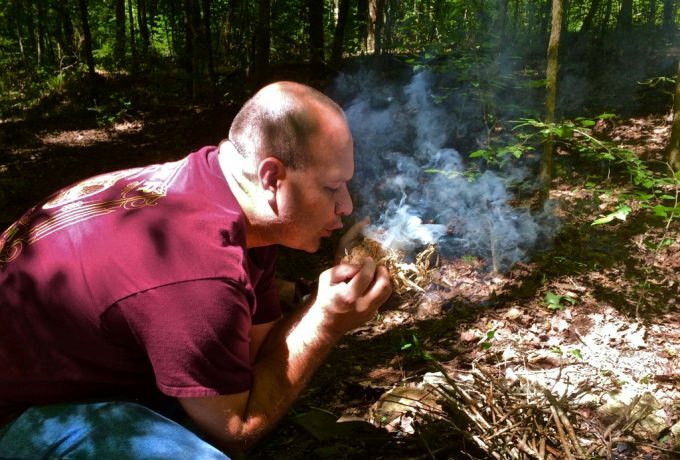 Since fire is vital for your survival, knowing how to start a fire from scratch can prove to be quite useful. You can use it to stay warm, cook some food or even signalize your location in a case of emergency, which might save your life one day. That’s why we’ve decided to tell you a thing or two about the few stages when it comes to creating your own fire drill (as the bow drill is also called). Apart from pointing out the most important steps along the way, we’ll also talk about the required tools along with the parts needed for your kit. Keep reading on to find out more! 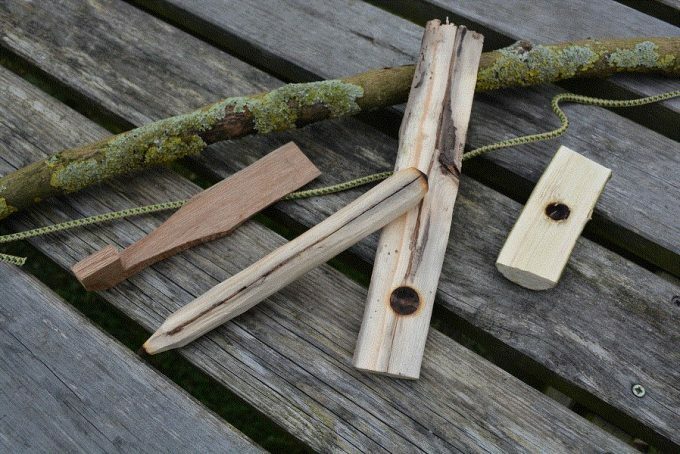 Even though we are making basically a prehistoric drilling tool, we advise you to stay prepared by bringing along some integral survival tools. Without possessing certain means, you cannot expect to carve out and put together the pieces of wood that will be required. 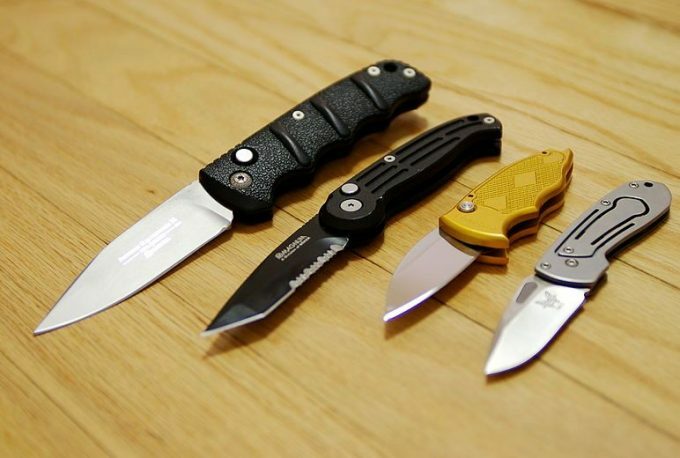 You have plenty of options when it comes to both of these as some folks would also praise the possession of a multi-tool which is also known as a “super tool”. 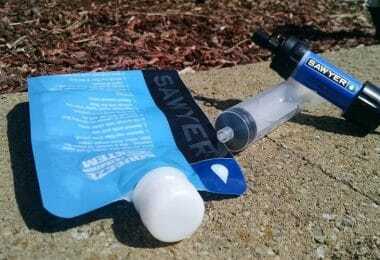 It combines together a pocket knife and a small saw. This little piece fits in a holster on your belt and it also won’t weigh you down one bit. As you can see you really need just a minimal number of tools none of which are special in any way. After all, nobody expects you to pack up your jigsaw, a set of protective goggles, an axe, and an electric drill and say that you are perfectly well-prepared to survive in the wilderness. Now it is time to start relying on your skill set, deft hands, and intuition. Additionally, very dry tinder is also required – a handful of it will suffice. Finally, before you engage in some bushcraft, make sure you also have the fire all set up and ready to go. Some pieces of wood used as parts can be green but most have to be strictly dry and dead. If you are to make one from wood, cut a block which fits comfortably in the palm of your hand. 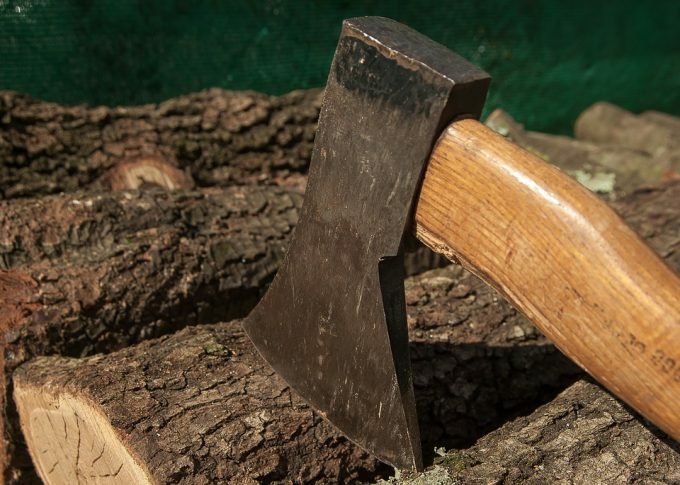 Maple, oak or birch are all just fine when it comes to selecting the type of tree to chop from. The perfect size of the piece you need is about 3 by 2 inches. Split it in half if it is cylindrical and make sure you smoothen the edges so that you can wrap your hand around it easily. You need to carve up a little cleft using your knife right in the middle of the socket. This is where one end of your spindle drill goes. A quick tip we have for you here is to mash some leaves in the socket in order to provide some sort of a natural lubricant to prevent the parts from wearing out. The next two parts of your bow drill need to be made of the driest wood possible you can get. 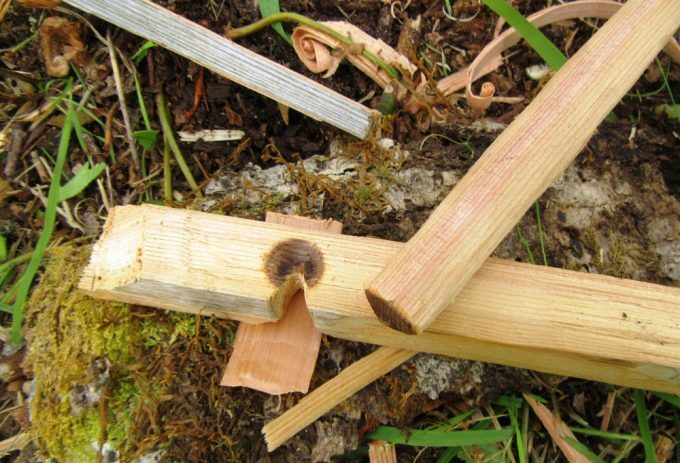 Don’t expect to see any fire if you use green branches or decomposing pieces of lumber. So look for some fallen sticks because they will work fine as a fireboard (or hearth board) and a drill. Pine can work as long as it is really dry but if you can get your hands on aspen or willow, then go for it. As a quick disclaimer here, we should mention that the common characteristic of these tree species is that they are all softwood. You can tell by driving your thumbnail through a barkless part of a branch. If it makes a dent in the surface then you definitely have your hands on some softwood. Speaking of your thumb, this is the width at which you are aiming when selecting a straight branch for your spindle. But how long should it be? – You might ask. About 9 inches will be perfect. You want it not only straight but also as smooth as possible. 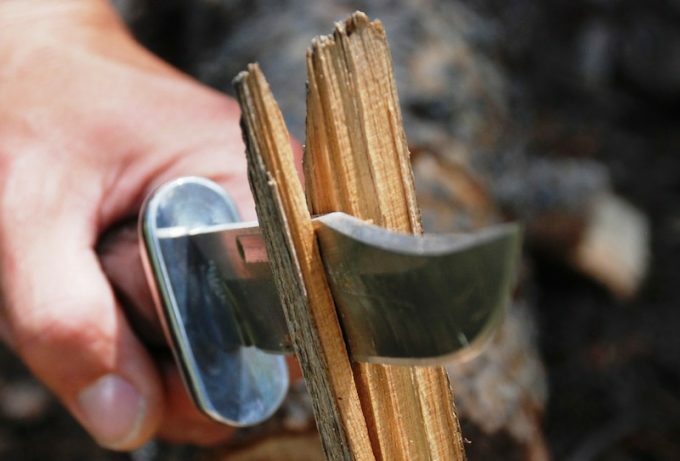 Achieve that by shaving off the bark and all imperfections using your survival knife. The part which goes into your socket should be tapered down to the size of a pencil. This is typically the thinner end of the drill. As far as the fat end goes, just round it off – it will interact with the fire board. Here are a few tips that could be helpful when it comes to crafting your own hearth board. Look for a branch which is about 1ft long or in other words 30 cm. If you do not have a tape measure with you, then you can use the size of your foot as measuring guide. As far as thickness goes, the fireboard branch you pick should be about two times wider than your drill. It is absolutely imperative that this piece of wood is very dry and seasoned. This is where all the friction will happen and in order to get a spark, you need a completely lifeless piece of lumber. A quick tip here is to gather more branches with that size so that you have “spare parts” in case your first kit doesn’t work out. You need backup options for each part essentially. In order to produce a flat hearth board, you will have to use your knife. 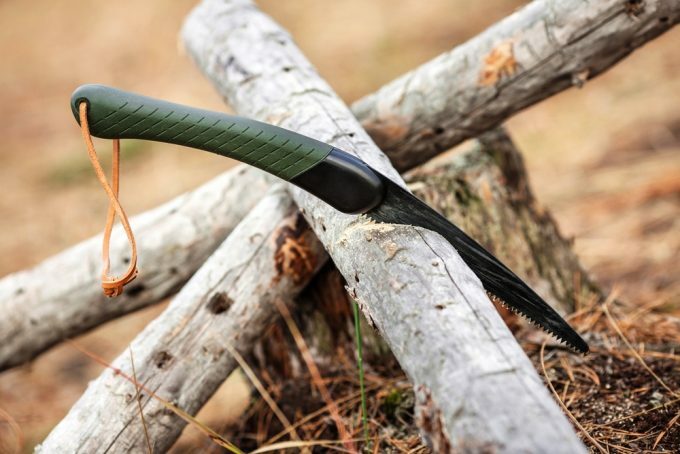 Shave off one whole side of the branch and make it as smooth as you can. Then do the same on the other side. 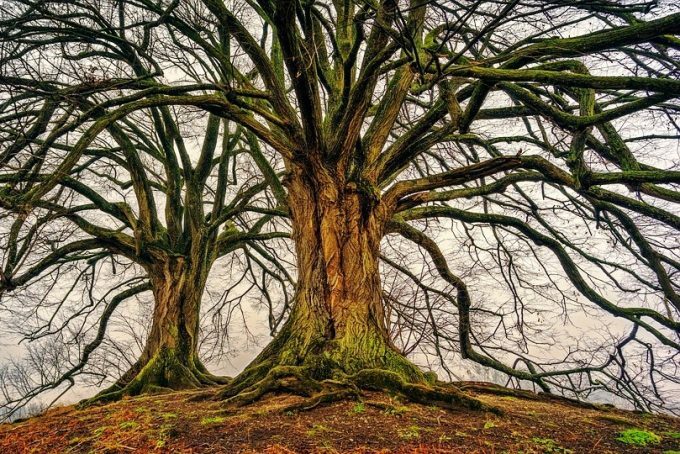 Keep in mind that you do not need to clean all four sides of your branch to make it look flat. Two will be just enough. The process requires you to stick the blade of your knife sideways in the branch and hit it with another piece of wood or rock on top. 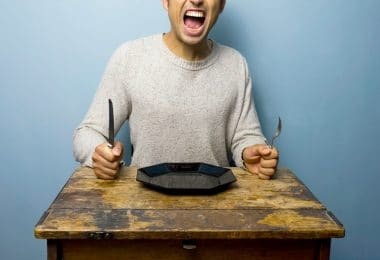 Your other hand holds the knife tightly which might be quite the uncomfortable experience. Wearing leather gloves will greatly help you when stripping the bark off the fireboard. Now that you have a hearth board which is about half an inch thick it is time to drill a little divot near one of the ends. It should be as wide as the fat end of your drill. As you read this a certain image has probably shaped up in your head about how exactly the drill is handled and where both ends will go. One goes into the socket and the other one in the fireboard. In all fairness, we decided to leave the information on how to make your bow for last because it is often considered to be the easiest part. After all the delicate cutting and modeling that you have done with the previous parts, this one requires fewer efforts but it is just as important of a component as any. We have all seen pictures or videos of cavemen lighting a fire and this is pretty much how we will do it here. However, in ancient times, people used only their hands to spin the drill thus greatly reducing their chances of actually making fire. You cannot get enough revs per minute in order to cause friction good enough to produce fire. This is achieved by using a bow. The bow for your bow drill consists of two parts – the bow itself and a string. Look for a curved tree branch and chop it off. It doesn’t need to be dry because it won’t take part in the fire making process. You only need to utilize it as a handle so that you can spin your drill quickly enough without hurting your hand. This is the longest component of your bow drill kit. It should be somewhere between 15-20 inches. This is also equal to the distance between the tips of your fingers and your elbow. Get a branch at about the thickness your thumb. Why is the String Important? If the cord of your bow isn’t strong enough it will not be able to withstand the force needed to create fire. 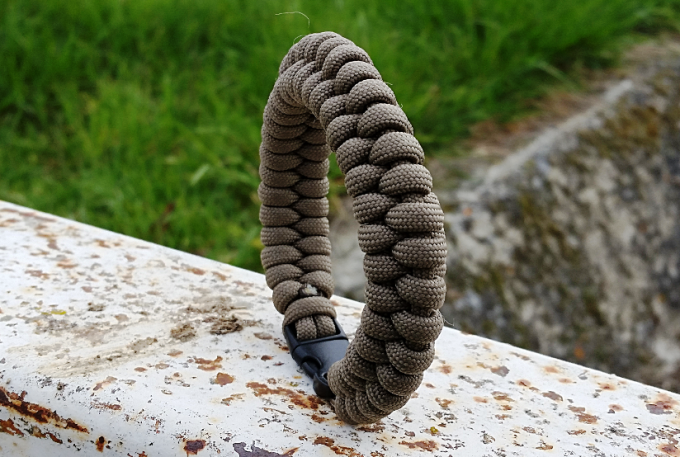 Nylon, leather or paracord (parachute cord) will be perfect when it comes to the right material for your string. 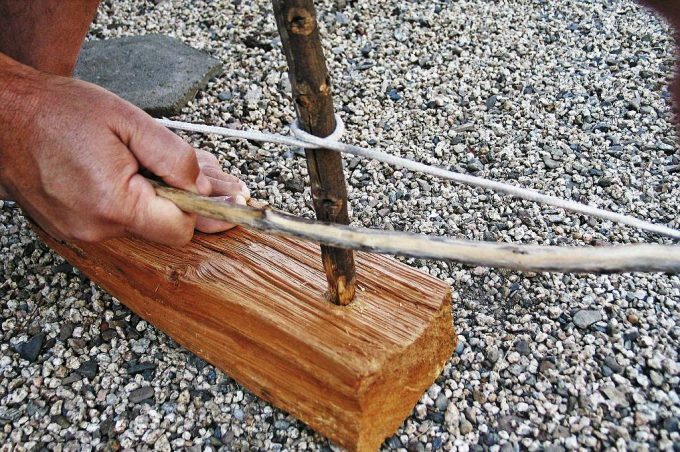 Keep in mind that in a very tight situation you can make your bow string from various plant fibers, roots and tree bark. Even though such a string will be coarse, it will also be pretty durable. 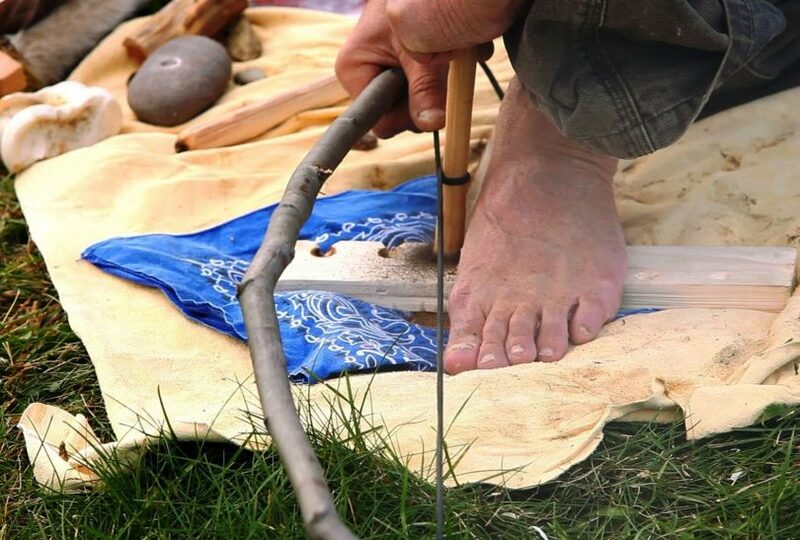 Now here’s a question for you: Do you suppose you will be wearing shoes in the forest when you need to make fire from a bow drill? Surely the answer is “yes”. 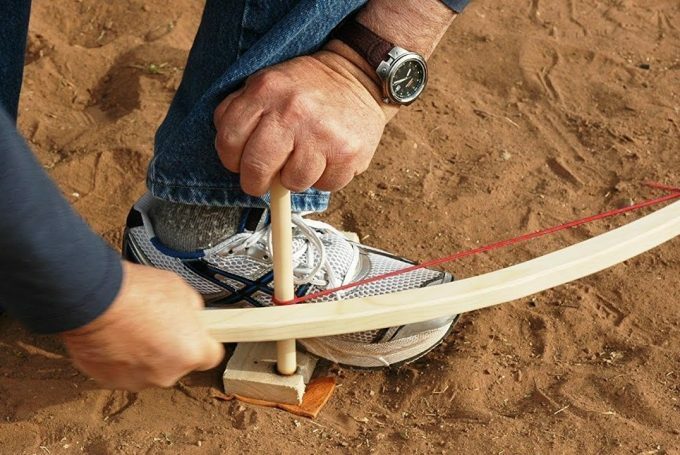 That’s great news – shoelaces can make an excellent bow string. Staying on the shoelaces topic – some experts in survival actually replace their stock laces with paracord ones. The reason for this is to use your laces back again after successfully igniting the fire. Most regular laces will be torn or at least damaged during the process, but not the sturdy paracord ones. Carve out the end of the bow so that your string has something to be tied to. This will keep it from sliding. Now, this next part is important to get just right. Tying the other end of the bow with the string is pretty sensitive as you want the tightness of your rope to be perfect. This means that as you twist the drill in the string, it should stay there really nice and tight. Make sure you test the tension of the bowstring by twisting the drill in it and then letting go. If it falls easily on the ground then your rope isn’t tight enough. If you can barely coil the drill in, then there is too much tension. What you are aiming at is to have your drill spin out as it uncoils upon release. We are almost done tweaking the parts needed for our bow drill kit although in a second you will see that there is one more action to do with the hearth board. A very important tip here before you engage in any fire-making activities is to never leave your kit on wet ground or any moisturized areas. This also goes for the spare parts you have gathered. Now that we have everything clear let’s begin with the fun part. Our initial goal is to see smoke here. 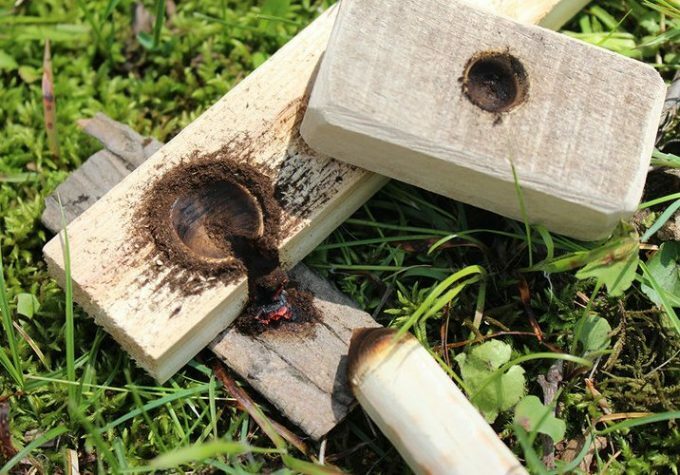 Don’t expect your bow drill to catch fire because it won’t. Remember the amber pan which is the sixth component of the bow drill kit? Well, we will definitely need its presence now as it will allow us to conserve a very important product – the amber. The stance you take is critical and if not done properly you risk to tire out or even sustain an injury. Place your weak side foot on the hearth board to hold in place over a flat rock. This is when you twist the spindle right at the mid-point of your bow string. The fat end of the drill goes into the divot of the fireboard you are stepping on. As you probably expect, you are to place the socket on the top (thin) end of your drill and hold it tightly in your palm. With your strong hand you want to hold the bow and keep it parallel to the ground – don’t point it upwards or downwards. An important tip here is to lean down a little so that you can establish some leverage. As you keep the drill as close to a 90-degree angle as possible, start doing a push-pull movement with your bow at a moderate pace. Gradually increase the speed and pressure you apply on the spindle until you see some smoke coming out. 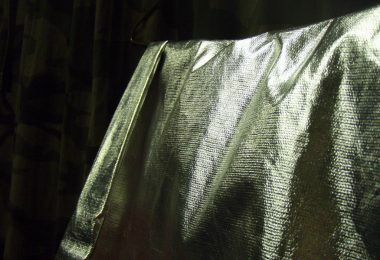 The goal is to also see some charcoal color in the area where your drill and hearth board are rubbing. 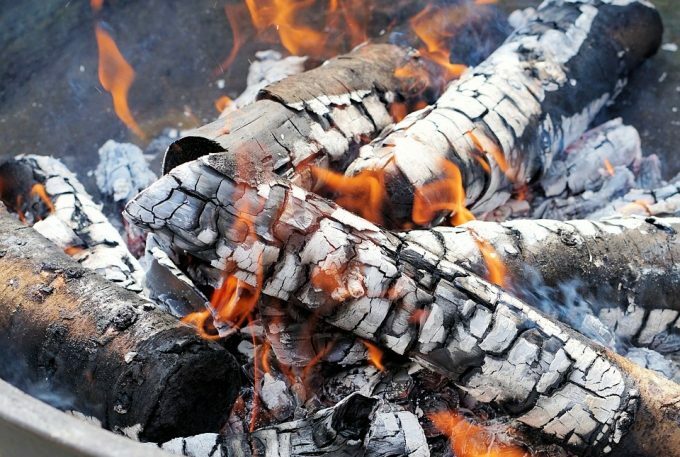 There is one certain reason as to why you might see no smoke coming out – the wood isn’t seasoned. You can tell by the color of the coal you are trying to produce. If it is too brown then you are definitely dealing with wet wood. As mentioned above, you are looking for a specific dark color, namely charcoal. Another sign beside the color is the whistling sound your kit makes as you create friction. Well, this is why you collected all those spare parts, right? Ditch the ones that are no good and start over. We realize this might sound like a chore but it is the only way to get your fire drill going. Simply use your tools and process all the spare pieces of wood you have in order to make a new socket, drill and hearth board. Let’s assume that there is plenty of smoke coming out and that the color is just right as you rigorously push and pull your bow. Now comes the time for the final piece of preparation on your fireboard. Cut a pie notch using your small saw right to the center of the divot in which the friction happens. Thanks to this burnt circle and the amber pan we will be able to make coals. Before you continue, though, make sure that your bundle of dry tinder is nearby. What’s more, make sure you have enough of it and that it is completely dry. The role of tinder can be played by dry linen, cotton balls and of course natural twine. Oh, and let’s remind you about your fire also being set up and ready to go. A so-called tipi fire is the most popular structure. Pieces of wood are tangled together in the shape of a tent. Under this cone body, you are to make room for tinder. As for the amber pan – you can use tree bark or even a piece of paper as long as it is dry enough. So start the fire making process again and as soon as you see smoke, keep going as fast as you can. This is basically a race between the formation of coal and the capacity of your powers. If you stop your motion and keep seeing smoke then this is a sure sign you have an amber. This means that enough ashes have dripped through the pie-shaped notch onto the amber pan. Give it a blow or two. As you blow at the amber make sure you do not blow it away – be gentle. Use your hands to make some more air movement and watch for that glow. Grab the bundle of tinder and drop your amber right in the middle of it. Don’t stop blowing or it will all be in vain. Hold the tinder above your mouth so that you can keep breathing freely as you blow. The amount of smoke should increase and you will, in fact, also see a couple of sparks. Thanks to that stream of fresh oxygen your tinder will likely start catching fire. As soon as it bursts into flames carry it to the tipi fire and tuck it underneath. This is the moment you have been working so hard to get to. Now you are free to do whatever your initial goal was – cook, signalize or simply enjoy the achievement of lighting a fire from scratch. Congratulations! 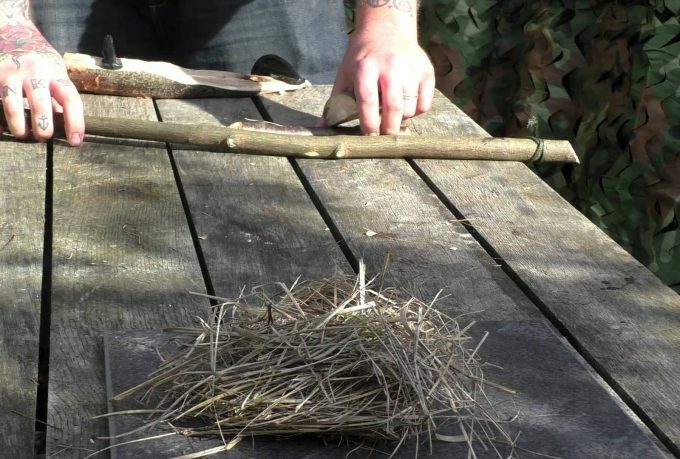 Similarly to all survival things, making a bow drill and using it properly also takes time and practice. Even if it takes you ten tries to light up some fire, you shouldn’t be deflated. This is an excellent example of moving forward by coming back. 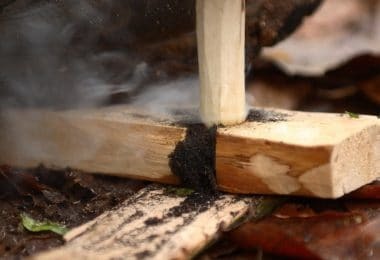 As long as you followed our tips closely and have been punctual at every stage along the way, making a bow drill and starting fire from scratch will soon become a key survival skill of yours. Don’t hesitate to add it to your arsenal and enjoy the many benefits that come with it.